To all the folks who have supported our "D is for Dump Trump" campaign on Kickstarter and who have shared our mission... THANK YOU! 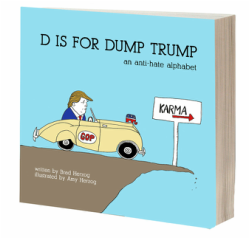 We hoped that the message behind our satirical picture book would resonate -- the idea that "D is for Dump Trump" is not meant to spread hate, but to stop it. As the battle for the future of our country is ratcheted up even further, we hope you will join us in continuing to speak out, to push forward with purpose, to recognize that a bunch of small difference-makers can add up to something special. If you would like to purchase "D is for Dump Trump," it is available through us here at Why Not Books or on Amazon or Barnes & Noble. "I have the best words," bragged Donald Trump, while running for – are you kidding me? – president of the United States. Well, so do we. And they’re all here in D is for DUMP TRUMP: An Anti-Hate Alphabet – 26 poems and 20 original editorial cartoons about this detestable caricature of a candidate. 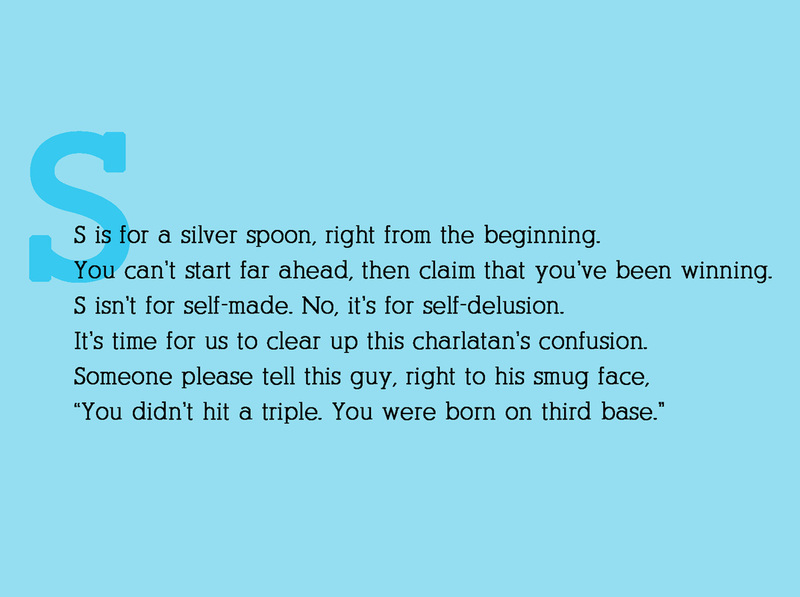 As you roam through the alphabet – M is for misogyny, N is for narcissism, X is for xenophobia – you'll laugh, you'll sigh, and if you're as horrified by Donald Trump as we are, you'll want to spread the word. A portion of the proceeds from D is for DUMP TRUMP will support the Southern Poverty Law Center, an organization dedicated to fighting hate, teaching tolerance, and seeking justice. Let's stop hate. Let's dump Trump. Kickstarter campaign ended at 557% funded! ​Thank you to our 975 backers!